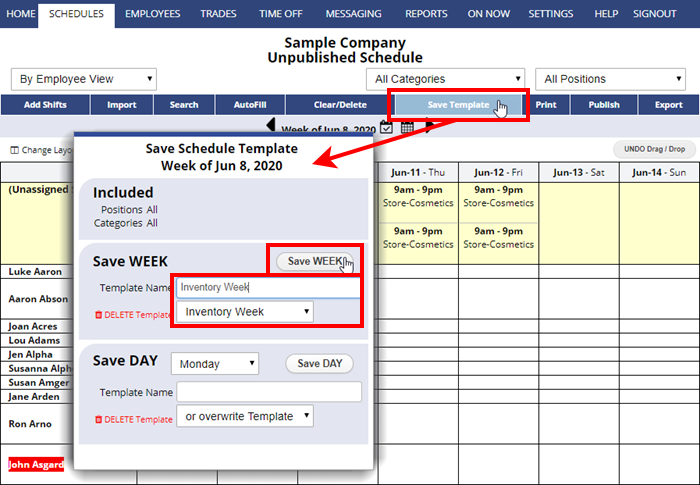 The recommended method for editing a saved template would be to use the method describe on Edit A Schedule Template page. But in some instances you might prefer the following alternative method if you intend to import other templates into a new template. This method involves importing into an empty week, making changes and then saving again and set the week back to empty (be sure to use clear/delete to set that week back to empty). To do this, navigate to an empty schedule week in the past, Import the template, make changes to it, and re-save it with the same name. You can then delete the shifts in the past week to set it back to empty. 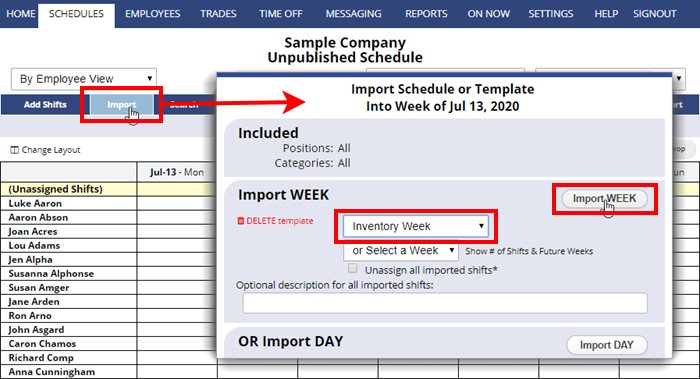 Click the Import WEEK button (or Import DAY if you are changing a day template). Your schedule will now display the shifts in your Template. Your template is then changed and will show the changes the next time you Import it. Changing a template has no effect on previously imported weeks.